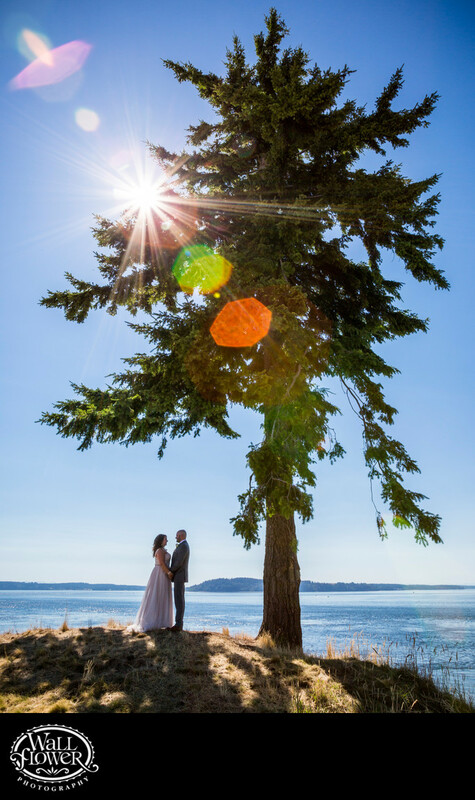 The famous Chambers Bay Golf Course in University Place, Washington doesn't usually provide access to its signature Lone Fir for brides and grooms getting married there. But, with much of the public areas closed for the 2015 U.S. Open golf tournament, this bride and groom had a unique opportunity to be photographed by the course's only tree. A narrow aperture and careful framing of the sun to be partially obscured by branches resulted in strong lens flares that give the image a hint of Hollywood blockbuster.